You appear to have an ad blocker enabled. We use ad server software to manage some content which will consequently not be visible. Please consider adding an exception to your ad blocker for www.cathouseonthekings.com. Shop at Amazon.com via AmazonSmile and we will receive a donation of 0.5% of your purchases! Check out our Amazon Wish List! When you send us something via Amazon, please forward your order confirmation e-mail from Amazon to amazon@cathouseonthekings.com for an acknowledgement and donation receipt. When you send us something via Chewy, please forward your "Thanks for your Chewy order!" e-mail from Chewy to chewy@cathouseonthekings.com for an acknowledgement and donation receipt. The Cat House on the Kings is excited to announce that we are now a member of Home for Change! If you are considering buying or selling a home, please follow the link to select a realtor who will donate 5% of their commission to us! residents of Fresno, Kings and Tulare counties. Click here for details! Each year shelters receive six to eight million unwanted and stray animals and one animal is put down every eight seconds. You can help by spaying or neutering your pet and/or adopting an animal from a shelter or rescue group! The adoption center at the sanctuary in Parlier is open afternoons 1pm-4pm by appointment only. You must submit an online application and receive an approval e-mail before making an adoption appointment. Please call (559) 638-0490 for an appointment before coming by. Our off-site adoption center inside Petco at 4144 N. Blackstone at Ashlan in Fresno is open daily 10am-5pm and Wednesday 10am-6pm (photos, video). Call (559) 222-0228 for more information. The Cat House on the Kings is California's largest no-cage, no-kill, lifetime cat sanctuary and adoption center. Our mission is to place rescued cats and kittens into loving, permanent homes; to provide a safe, happy and healthy home for unwanted cats and kittens in a unique, no-cage facility; to prevent pet overpopulation through spaying and neutering; and to educate the public about responsible pet ownership. The Cat House is a 501(c)(3) nonprofit corporation, receives no government or public funding, and relies entirely on donations from the public to carry out its mission. 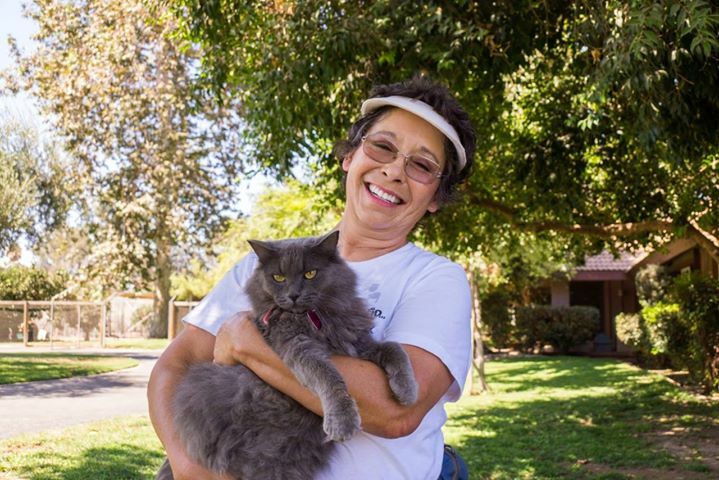 Since its founding 27 years ago, The Cat House on the Kings has saved over 30,000 cats and 7,100 dogs (not counting the 56,000 animals we have spayed and neutered!) and currently cares for more than 700 cats and kittens, a dozen or so dogs and dozens of peacocks. Adoption: Ready to adopt? Please read about how to adopt a cat (dog) from us and then view our adoptable cats (dogs). Can't decide which one? Fill out a cat (dog) adoption application and we'll help you find a match. Surrender a cat: Fill out the online surrender form. The Cat House on the Kings videos: YouTube channel, Jack Perez original video, Scott Ryan, Haley Gostanian, Kim Barker, Lynea's aha momentl Petco Adoption Center and our very first wedding. Life at The Cat House on the Kings: Videos captured by staff, volunteers and visitors. Rescue stories: Read how some cats came to live here. Check out our facility! Get a bird's eye view of The Cat House. Find out who loves the wood stove. It's kitten season, and we're up to our eyeballs in abandoned babies in need of special care. Please join us and become a foster mom (or dad!) to a litter of kittens. Lynea Lattanzio is the brains behind the operation. She single-handedly designed, funded, and built The Cat House, and now oversees the running of the facility. Choose the newsletter you want to read from the drop-down list below and click the "Go" button. You may need to install Adobe Reader. You can also get our newsletter via e-mail. We need your help! Check out how YOU can make a difference in the life of a cat at The Cat House on the Kings. We are a 501(c)(3) non-profit corporation (EIN 27-0015288), so your cash donations are tax-deductible. 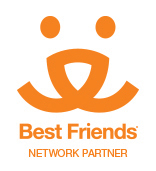 When you shop at one of our 25 Shop to Give partners (like the one below) or through one of the ads which appear on this website, we receive either a donation as a percentage of your purchase or a referral fee. The more you buy, the more you help the cats! Shop-to-Give affiliates are not being displayed here due to your ad blocker.